I had a terrific visit to the WWII Museum in Natick recently. 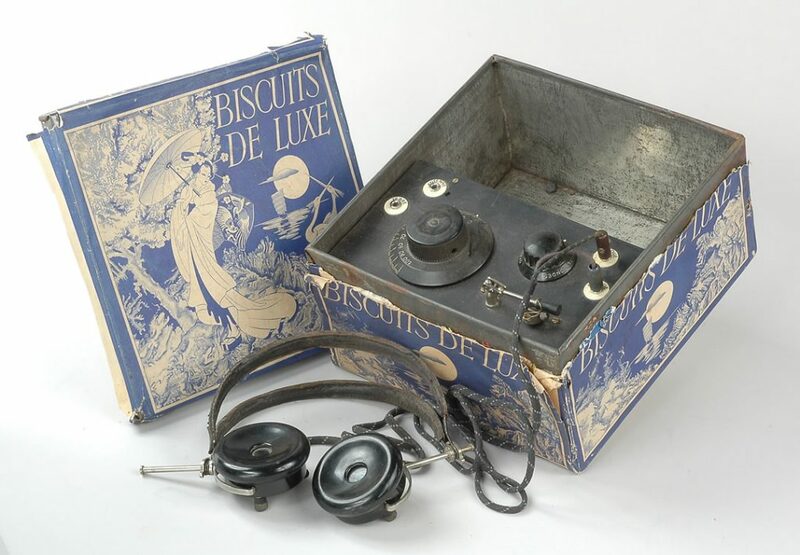 To my surprise, they had a lot of radio gear including this biscuit tin radio, which reminded me of Bruce, KC1FSZ’s peppermint bark tin QRP rig at Field Day. The museum has revolving exhibits specializing on subjects such as women of WWII, the resistance, Enigma machines, etc. They seek donations of artificats and volunteers. If you’ve not been there, I highly recommend it. The Museum is open to the public on Fridays and Saturdays from 9 AM to 4 PM for walk in visitors. Last entry is 3 PM. You do not need to schedule your visit ahead of time. You do need to fill out a waiver form beforehand and bring an I.D.